[Our Size Eggplant] 4cm x 8cm/1.57" x 3.15" (Approx.). [Our Size Chili] 7.5cm x 5.5cm/2.95" x 2.17" (Approx.). Colorful fruit and vegetable toys for your children. Each fruit and vegetable can be sliced in half because they are connected with magic tape. 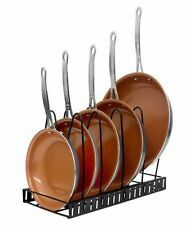 Better Rack Kitchen and Cookware Organization Holders - Holds Up To 5 Pans, NEW! Included: A Set Kitchen Cooking Toy. The styling of this wonderful kitchen tools make it look just like the real thing. A very creative toy for your kids to play and improve their hands-on ability and imagination capacity. New generic Kids Pretend Education 12 pcs per Sets Of Fun Play Learn. 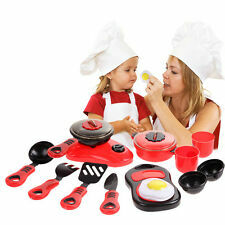 This set simulation cook ware kids toy is great gift for your child. 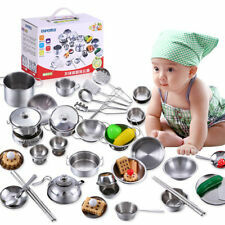 12pcs Kids Play Toy Kitchen Utensils Pots Pans Cooking Dishes Cookware Gift. (12PCS / 1 Set) of Kitchen Toys( Style is randomly sent ). Each set contains a cutting board and a knife. Due to the light and screen difference, the picture may not reflect the actual color of the item. 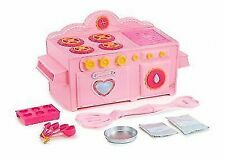 ※Different pattern of kitchen playset includes different gas oven, microwave oven, refrigerator, kitchen cabinets and other utensils. 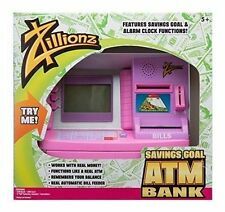 2#: 1pcs Kitchen counter 1pcs Baking oven. 1 X Kitchen Playset(Does not contain decorations). Item type: fast food playset. Note: The basket is contained in 35 piece set, not include in 34 piece set. Material: plastic. Applicable age: 3 . [Our Size Eggplant] 4cm x 8cm/1.57" x 3.15" (Approx.). Colorful fruit and vegetable toys for your children. Each fruit and vegetable can be sliced in half because they are connected with magic tape. Type: Baby Toys. Material: Plastic. Size:About 12 3cm (D x H). 1 set x 26Pcs Kitchen Fruit Toys. The middle of Fruits and vegetablesthe is very good Velcros, it has very good sticky. So fruits and vegetables can be repeatedly cutted, paste, re-use. There is a sound while Cutting the fruit and vegetables. Super cute and cuddly 3D simulation food. 1 Mini Food Toy(at random). Material: Plastic. Note: The real color of the item may be slightly different from the pictures shown on website caused by many factors such as brightness of your monitor and light brightness. Prototype hamburger 2.5 2.5 CM. Square hamburger 3 2 cm. French fries 3 3 CM. 1 set of food. Style : Kid DIY toys. Quality is the first with best service. Colorful fruit and vegetable toys for your children. 12 x Fruit Cutting Toy(Style Random). Color: As pictures show. Orders placed on weekend will. Due to the difference between different monitors, the picture may not reflect the actual color of the item. 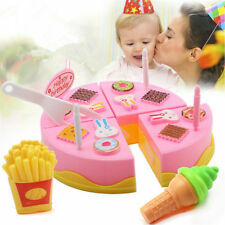 Product accessories: 16 PCS cake (3 detachable layers). Material: ABS eco-friendly plastic. Fruit Role Play Fruit Vegetable Food Cutting Set Reusable New Pretend Kitchen. Colorful fruit and vegetable toys for your children. Quantity:1 Set(4 fruits or vegetables 、1 Cutting board 、1 Knife）. Color:Random colors. ). Quantity: 24pcs. 1 24PCS Play Food Set. Includes 24 pieces, a combination of fruits and vegetables, pizza, dish, chopping board and knife. 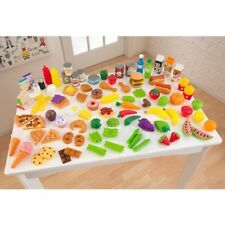 Adorable and reallistic cutting fruits and vegetables set with pizza in bright colors to enchant the very young. Material: Foam sponge. You can crumpled it, and then will be quickly recover. Style: Sent randomly (Multiple patterns and randomly sent, you may get different patterns from the ones shown in the pic.). It is cute and mini and will not occupy your kitchen space. Stimulates the children's ability of creativity,emotion. Due to the difference between different monitors, the picture may not reflect the actual color of the item. Notice: Pizza is counted six pieces, not one piece. Colorful fruit and vegetable toys for your children. 24 x Fruit Cutting Toy(Style Randomly). Color: As pictures show. Orders placed on weekend will. 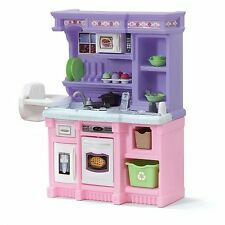 These kids kitchen playsets include kitchen utensils and accessories plus the stovetop and sink. High-quality makes these childrens kitchen playsets durable and sturdy, this kitchen set is ready for years of culinary fun. Toy kitchen basin can run water, and kids can pretend to cook when they place pots. These kids kitchen playsets include kitchen utensils and accessories plus the stovetop and sink. High-quality makes these childrens kitchen playsets durable and sturdy, this kitchen set is ready for years of culinary fun. Fruit Role Play Fruit Vegetable Food Cutting Set Reusable New Pretend Kitchen. Colorful fruit and vegetable toys for your children.